There are about 70 million dogs in the United States, making them the most common domesticated animal in the country. In fact, nearly half of all U.S. households include a dog, and many people treat their dog more like a family member than a pet. Dogs can be loyal and lovable companions, but they are still animals — with all the instincts and defensive reactions of a typical animal. Certain breeds have powerful jaws that can crush bones and cause devastating injuries. Although some dogs attack because they are frightened or hurt, other dogs bite because they are vicious or poorly trained. Dogs can also attack when their owners fail to properly fence, crate, leash, or otherwise secure them. If you or your child has been attacked by a dog, you deserve compensation for your injuries. At Mesirow & Associates, PLLC, we are Washington, D.C. personal injury lawyers who help victims of dog bites get the money they need to pay their medical bills and other costs. Like most jurisdictions, Washington, D.C. has a strict liability statute when it comes to dog bites. Under the law, dog owners are automatically responsible for injuries caused by their dogs, as long as the injury victim did not trespass on the owner’s property or provoke the dog to attack. 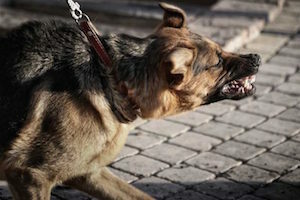 The law makes the dog’s owner liable for injuries caused by the dog regardless of whether the owner knew the dog was dangerous or likely to bite. In some cases, people are reluctant to file a lawsuit after suffering a dog bite. This is because many dog bite victims know the owner of the dog that attacked them. They might be good friends, neighbors, or even a family member of the dog’s owner. Understandably, they worry that filing a lawsuit seeking money damages could drive a permanent wedge in their friendship or relationship. Although this is a reasonable and even logical way to think, it’s important to remember that the majority of dog bite attorney are defended by a dog owner’s insurance carrier. Dog bite injuries can be devastating — especially in children. Because small children usually stand as high as a dog’s head, they are particularly prone to injuries around the face and neck. Children can also suffer long-term emotional and mental stress after experiencing a dog bite attack. They may also require costly cosmetic procedures to repair damage and restore function. Few families have the resources or insurance coverage to pay for repeat surgical procedures and therapy. This is why it’s important to contact a lawyer as soon as possible after a dog bite incident. If you or your child has suffered a dog bite injury, the Washington DC dog bite attorney at Mesirow & Associates, PLLC can help you get the money you need to pay your medical bills and other damages. Don’t wait to speak to an experienced lawyer about your case. Schedule your free case evaluation today by calling 866-463-0303. We serve the following localities: Washington DC; Baltimore; Montgomery County including Bethesda and Silver Spring; Prince George's County including Bowie and College Park; Anne Arundel County; Calvert County; Charles County; Frederick County; Alexandria; Arlington County including Arlington; Fairfax County including Annandale, Burke, Centreville, McLean, and Reston; Prince William County; Loudoun County; and Fauquier County.